Do you remember your bicycle dynamo? Motion can also produce electricity when a generator converts kinetic energy. Take advantage of a super capacitor as energy storage to power a fan. The charge level indicator enables you to read the energy generated. 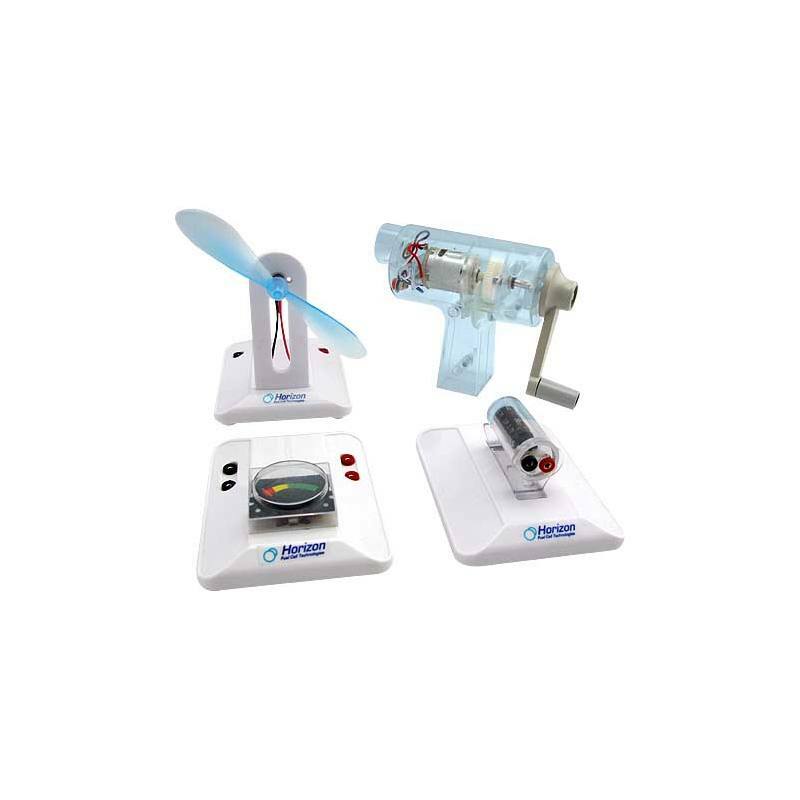 With super capacitors an integral part of the automotive industry, this is the ideal kit to learn the basics of generating and storing energy.